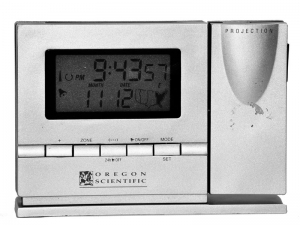 Firstly, what I treasure the most about this electronic clock, and feel its its most innovative improvement, is the ability to display the time on the wall or ceiling through the use of a light. This comes in very conveniently as one just needs to look at the ceiling, in my case, to find out the time. This, in my opinion, has left the deepest impression on me, setting apart itself from other electronic clocks. it will not exactly be portable. with other types of cheap electronic clocks which spoil just a few months after use. Thus, to sum up, I feel this electronic clock is exceptional, being cheap, simple to use yet effective and durable, and I would like to highly recommend this to customers out there looking for a new electronic clock which is different good yet from the norm.